Registration for Summer Childcare and Summer Camp is now open. Limited spaces available for 2019-2020 school year. 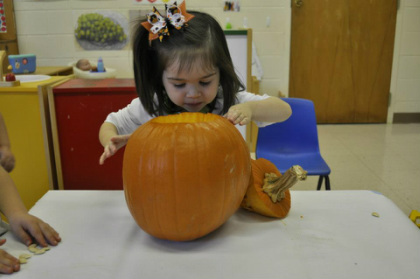 Huguenot Methodist Preschool offers your child the opportunity to grow and develop spiritually, socially, emotionally, mentally, and physically within a nurturing, family friendly atmosphere "Where Learning and Fun Become One." Our program consists of a curriculum which blends Developmentally Appropriate Practice (NAEYC definition here) and Kindergarten Readiness. We believe that children learn best by doing, touching, experimenting, choosing, talking, and negotiating. This is supported by Piaget's learning models and current research on brain development. We use a "Thematic" approach to learning, which is expanded upon by student interest and parent input. Visit our online communication tool! Come visit us! Call our director, Debbi Mintz, M.Ed. to schedule a tour.